When your cat lays a dead mouse at your feet, do you ever wonder, "What is Mr. Nibbles thinking?" Well, you're in luck! 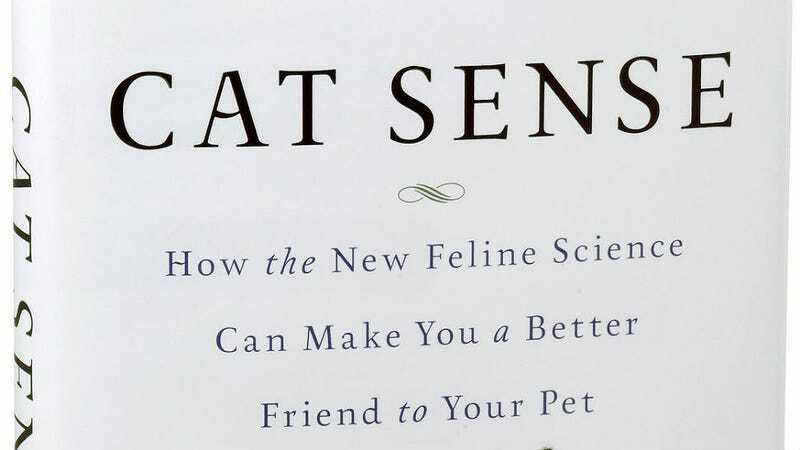 There is a book, a real book — Cat Sense: How the New Feline Science Can Make You a Better Friend to Your Pet — that delves into how you can really hang with Mr. Nibbles. He's all alone out here in this crazy world, you know? Unlike dogs who've largely been domesticated, cats are "semiferal," writes the New York Times. They can't be tamed, y'all, and like any single human woman knows, there aren't many nice house cats out there to cuddle with at night. So Cat Sense author Dr. John Bradshaw says that about 85 percent of cat romantic relations are with wild, feral tomcats who aren't so people-friendly. As for the dead mice and such, Dr. Bradshaw says kitties are simply drawing on their roots. Cats bring their prey into the house, he says, as a side effect of their hunting strategy, which is basically to sniff out the scent marks that mice and other rodents leave to communicate with one another. ... Because several cats may congregate where such marks are abundant, it's better to take any prey to a safe place where it can be eaten in peace. Good question. And here's another: What does Mr. Nibbles think of you as his human owner? Dr. Bradshaw thinks they regard them not as kittens but as a combination of mother-substitutes and larger, nonhostile cats.